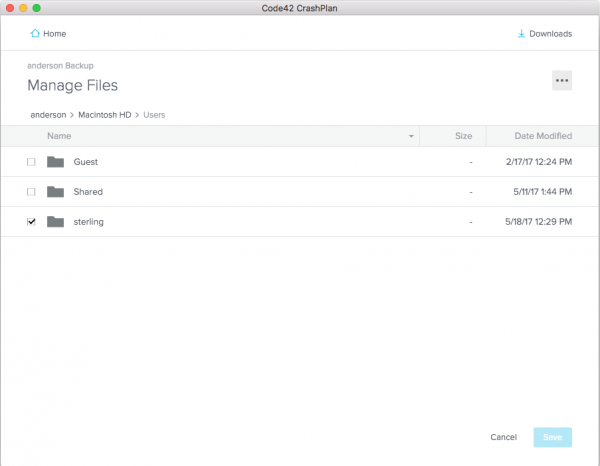 Mac users can install CrashPlan using the Managed Software Center application. Windows users contact Sterling if your computer does not have the software. The application can be found in your Windows Start Menu under Code42 CrashPlan, or macOS /Applications/CrashPlan. 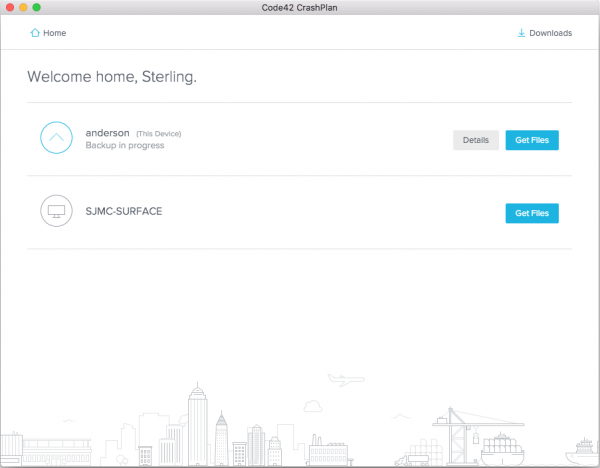 The CrashPlan interface is nearly identical whether you are on a Mac or Windows PC. 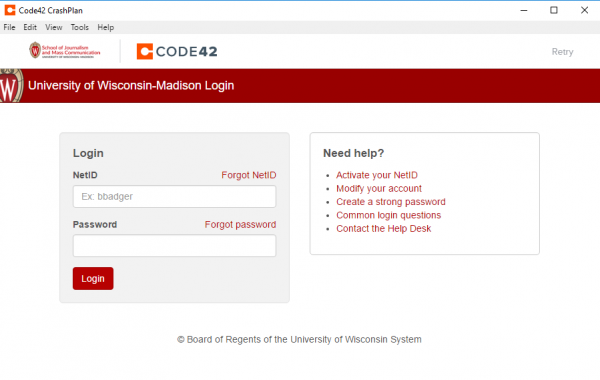 When first starting CrashPlan you are required to sign in with your UW NetID. You will now see a list of all your devices. Most people will only have one device, but you may install CrashPlan on more than one computer if desired. Click Details, then Manage Files for the device you just added. You should see your user folder with a checked check box. All files/folders with a check box checked will be backed up.